A lot of people are always looking for ideas on how to dress for work especially in their 20s and 30s. Reason could be that at these ages, you find that most people work in other people's companies that have certain rules and regulations including how to dress. So I am almost six months into my new job.I resigned from the previous one but explanation as to why I had to resign is a story for another day but for now, here are some great dresses for work. 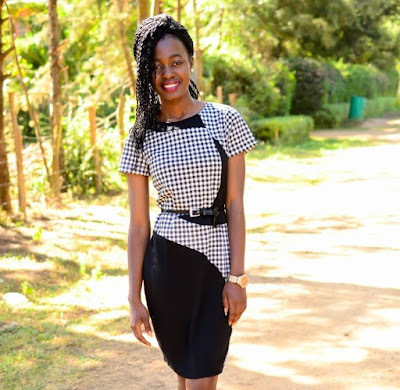 We all know by now that a pencil skirt is perhaps the classiest thing to wear to the work place but in wondering what to wear to work, a nice simple dress should come to mind.So, here are a few tips on how not to be too boring with that. 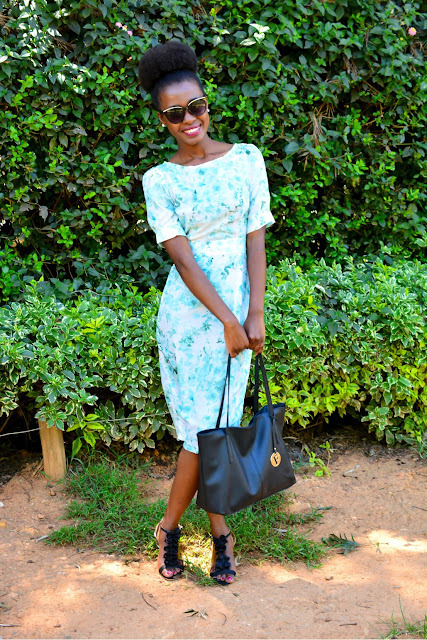 When you think of wearing dresses to work, you don't necessarily have to think black. Sometimes, it's worth making a statement with a bold colored dress such as this red one but just keep it plain and simple when it comes to the shoes and accessories. It looks like a great ideafor a younger girl but it does also work when dressing for work in your 30s. 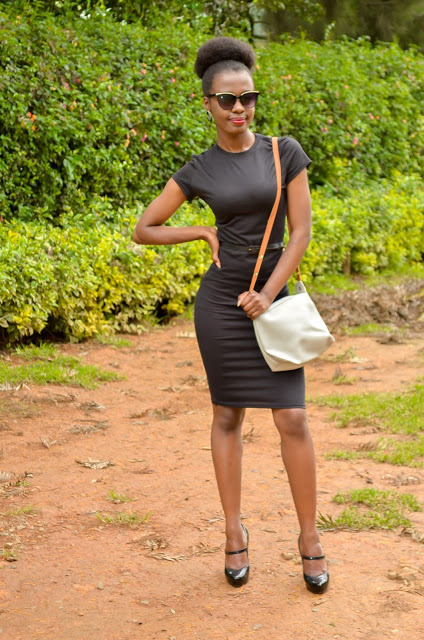 In this particular case I wore my dress with my brogues, black earrings, a skinny black belt and went for this cute little bag.I also chose to have my hair up in a simple curled up puff. Another thing is to keep a bolder dress at modest length. Going checked is exactly how to dress for work in your 20s. It's all about adding some fun to the otherwise boring black because being young is exactly about that. I love this black number with the checked detail .This is the kind of dress that doesn't need you to think too hard about accessories because all it needs is a belt and some heels for it to work perfectly don't you think? 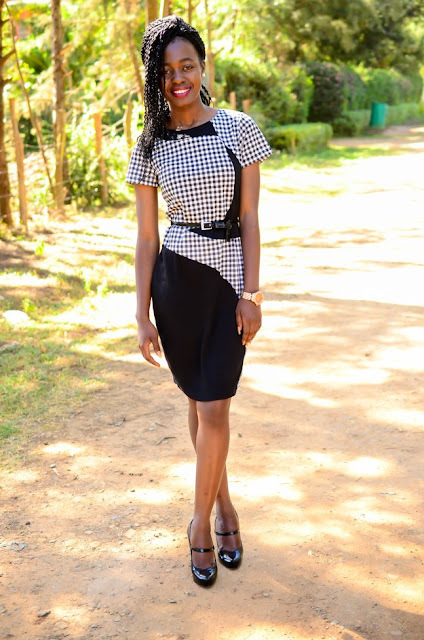 This also works for an office lady wondering what to wear to work because the checked pattern is not so in your face.It;s been carefully placed and is just enough don't you think? I love how colors just somehow seem to play against each other but still end up working somehow which is why this colorblock number is a great idea for what to wear to work. It really is just three colors that include orange, black and white. 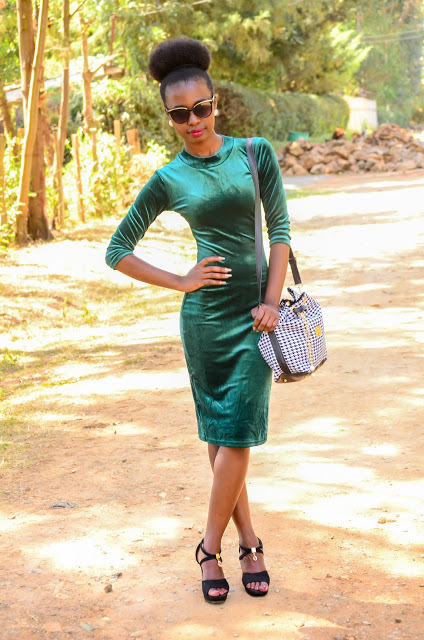 One however needs to be extra careful with the color blocking trend because it is honestly very easy to end up color clashing instead and we don't want to enter a distinguished office looking like some Christmas tree now do we? So if you are good with colors, this is definitely something to think about when wearing dresses to work. Another plus about this dress is the fact that the sleeves are long.Covers you up just right. Oh yeah, we couldn't forget polka dots. I particularly love polka dots for the fact that they are so cute and are never really boring. 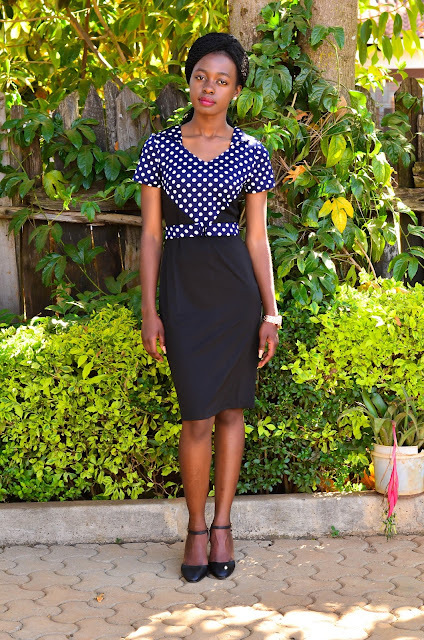 Wearing a dark dress with polka dots usually gives a youthful look to an otherwise old official look and you should definitely consider such when thinking of dressing for work in your 30s too. Don't be there thinking polkas are for girls in their 20s like me or even younger ones (you know, considering all that cuteness about them).They could work for you too. I love that for this particular look the polka dots only feature on the top part of the dress and the belt but the rest of the dress is simply navy. Also, when wearing polkas to the office, you might want to keep your hair simple and your accessories minimal as well.We don't want to end up looking like a child right? Does it get any better than velvet? Feels soft and so good and yes people when thinking of wearing dresses to work, it's just right to give different fabrics a try. Velvet usually looks great when well fitted. Just pick a great dark color. It does not have to be black necessarily but it can be a dark green, navy, burgundy, you know. Also, avoid velvet that's too crushed because you might end up looking casual in a place where that could be a faux pas. Velvet is so beautiful and can also give you extra warmth in the not so warm months. 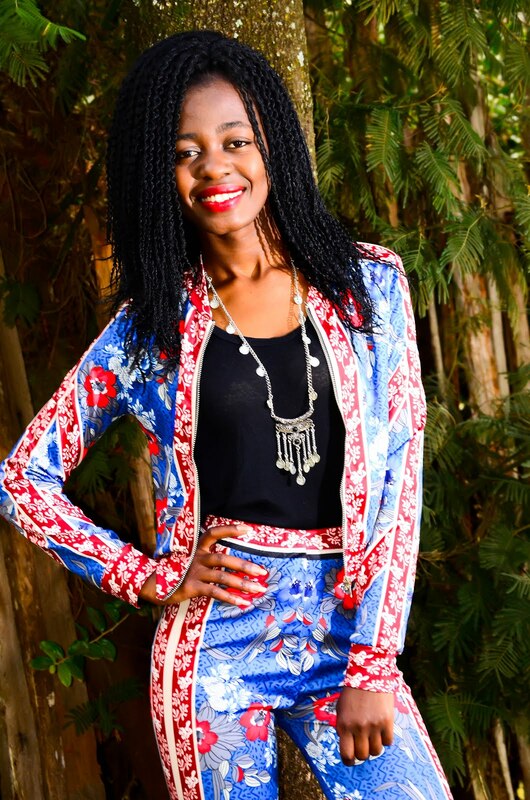 When a young girl wonders what to wear to work they rarely think of vintage but hello, old is gold and such styles from way back when, can really work for an office environment for the younger ladies. I love that most vintage attire is usually very decent and such a dress can really go a long way in earning you some more respect because of its acceptable length and the fact that it covers you up just right. 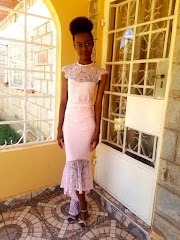 I love that this one is short sleeved.You do not want to go for a long sleeve if the dress has such shoulders because that way you risk getting a granny look. Hello! Invest in a couple of little black dresses. I absolutely love the simplicity of a black pencil dress. This one from Shein and it pretty much resembles a t-shirt at the top.You could go for a number of endless options with your little black dress because black just means variety. You could pretty much go with any color of blazer, shoes, bag, accessories and that should be fine. No one rocks a body con dress like you Sophie! Every dress is amazing on you. Even though I'm not in my 20's or 30's, I would still love to wear each style here. Many great and very elegant outfits Sophie! Thanks for these ideas! You suit this style of dress so well. You're werkin these dresses so beautifully Sophie. Thank you for the styling tips. I am so happy velvet is back in!! You have the cutest office looks! I wish I had been following your blog when I didn't know what to wear to work. I really love that velvet dress! It is dreamy <3 I'm following your insta and your blog now! P.S. I will be hosting a giftcard give away on my Instagram page soon! Let’s follow each other! Oh My Gosh! Sophie you are just superb. I love the way all these dresses look so fabulous on you. I can only dream on wearing these. :-) Each one is just perfect and elegant on you. 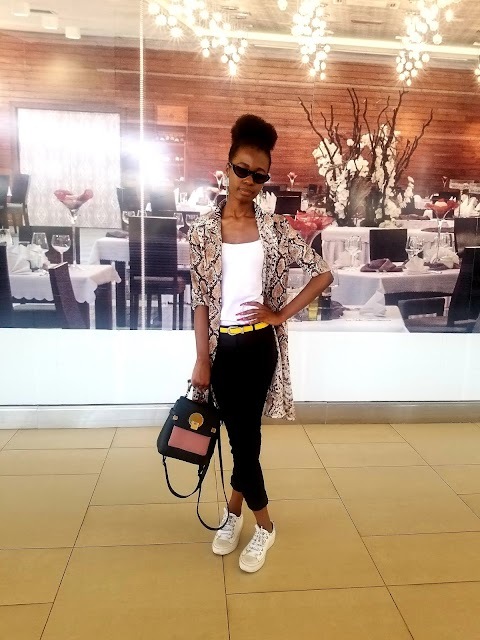 Loved this post and all your pictures are just stunning and stylish. The outfits are perfect for work and you look great. Great style inspiration , my favourite is the orange striped dress, you look pretty in it. Polka dots and tshirt dress are my favorites. Nice tips my dear.....thanks for sharing!!! these are all really cute elegant looks! These are just purely awesome options. I think it definitely suits a corporate type of vibe. The polka dots looks fantastic.